Whether a person is a gourmet chef or someone trying to provide a tasty nutritious meal for their family, chicken is the most versatile meat source available today. 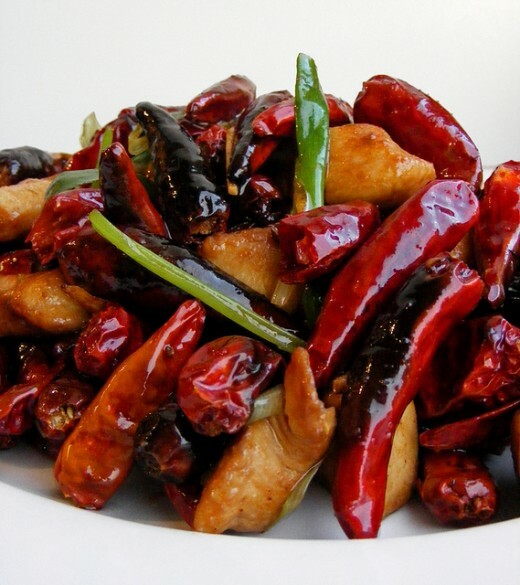 Chicken that is grilled, fried, poached, boiled, broiled or roasted, and combined with other ingredients, especially a variety of herbs and spices, is able to provide a wide range of wholesome and flavorful meals. With all of this going for the humble chicken, it should not be surprising to find that chicken is the world’s number one source of animal protein, and a healthy alternative to red meat. Four ounces of chicken is an excellent source of protein providing 67.6% of a person’s minimum daily requirements. Eating chicken instead of red meat is a terrific way to go about reducing the amount of fat consumed; however, in order to achieve this goal, the skin should not be eaten. A chicken breast has half the fat as that of a trimmed T-bone steak, but eating the chicken with the skin on it doubles the amount of fat. Besides lowering a person’s fact intake, chicken has other health benefits associated with it. Protein is associated with the ability to preserve bone mass in older adults. A four ounce serving of chicken contains 72% of the minimum daily requirements for niacin. Niacin is a B vitamin that has cancer-protective properties. 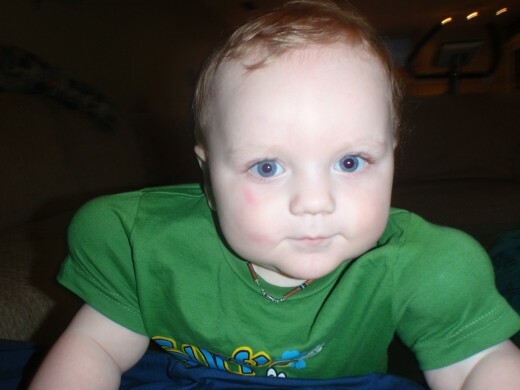 Niacin deficiency has been directly tied to genetic DNA damage. 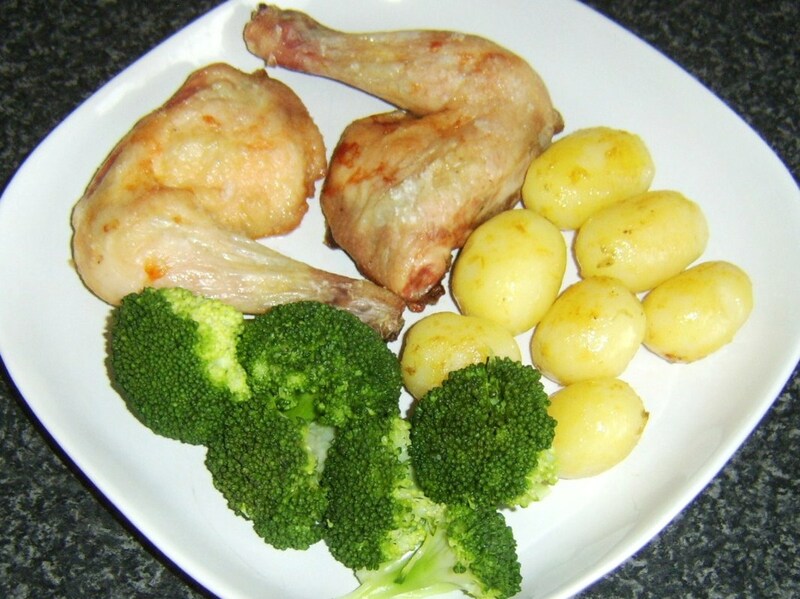 A four ounce serving of chicken provides 40% of the minimum daily requirements for selenium. In addition to the body’s need for selenium in metabolic processes, it has also been found to have cancer-protective properties. Research indicates frequent consumption of foods rich in niacin provides protection against age-related cognitive decline including Alzheimer’s disease. In addition to niacin, chicken also contains vitamin B6. This vitamin B combination supports energy metabolism. A four ounce serving of chicken provides 32% of the minimum daily requirements for vitamin B6. The vitamin B6 found in chicken is also able to reduce homocysteine levels that occur in blood vessels as it accumulates. For chicken’s nutritional information, click here. 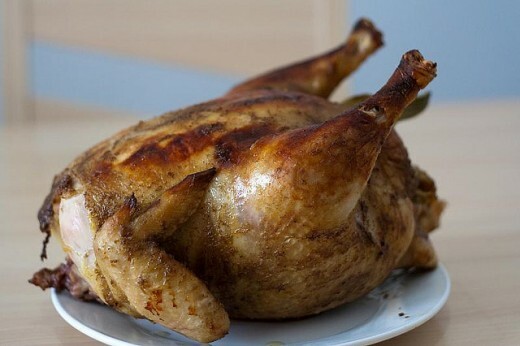 Whole chickens should have a solid and plump shape with a rounded breast. Chicken, whether whole or cut-up, should feel pliable when pressed gently. If the sell-by date on the label has expired, do not purchase that chicken. The skin on the chicken should appear opaque and uniform in color – not blotchy. When purchasing frozen chicken, ensure that it is frozen solid with no ice deposits or freezer burn. Avoid packages which contain frozen liquid as this may be an indication that the package has been defrosted and then refrozen. Consider purchasing chicken breasts with the skin still intact. If the skin is removed after cooking, the moisture content and flavor of the chicken will be improved and the fat content will not be increased significantly. After bringing your chicken purchase home, it should be stored in the coldest part of your refrigerator. 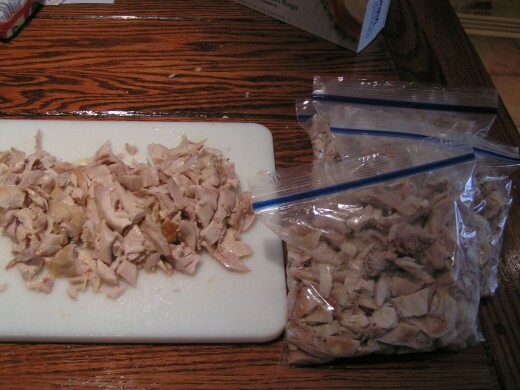 Raw chicken can keep in the refrigerator for two or three days. Be very careful while handling raw chicken making sure it does not come into contact with other foods, especially foods that will be served uncooked. Cutting boards and utensils used with raw chicken should be washed with hot soapy water before using with any other food item. Hands should also be washed with warm soapy water after handling raw chicken. Chicken should always be marinated in the refrigerator. A chicken should always be defrosted in the refrigerator, sitting on a plate to catch any liquid as it thaws. It takes a large pot to cook this much chicken at one time, but it doesn't take any longer, so once it's done, you've saved a bunch of time. I stuffed the chicken into sandwich bags. If I planned to freeze these, I would place all of these into a gallon sized freezer bag pushing as much air as possible out of all the bags. By double bagging like this, freezer burn very rarely occurs. For the recipes that will be shared with you this week, we will begin with a ten pound bag of chicken legs and thighs. To prepare the chicken for this week’s recipes, rinse pieces under running water and place in a large pot. (The ten pound bag of chicken contained ten legs and thighs.) Cover the chicken with water and boil for one hour. 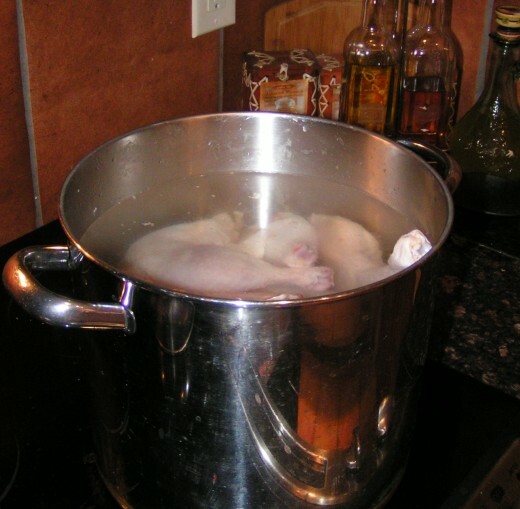 After cooking, remove chicken parts from water, place in a bowl and allow to cool. Do not discard the chicken broth. Place chicken broth in a covered container and store in the refrigerator overnight. After chicken parts have cooled, remove skin and bones from two legs and thighs. Chop meat into small pieces and place in a separate container. Repeat this process four more times. You should have five separate portions of chopped chicken with no skin or bones. These are the recipes that I will be making this week using the above portions of chicken and the broth. Portions of chicken that you will not be using in the next couple days should be frozen until ready for use. I suggest you make the Chicken Noodle soup first so that you do not have to freeze the broth. 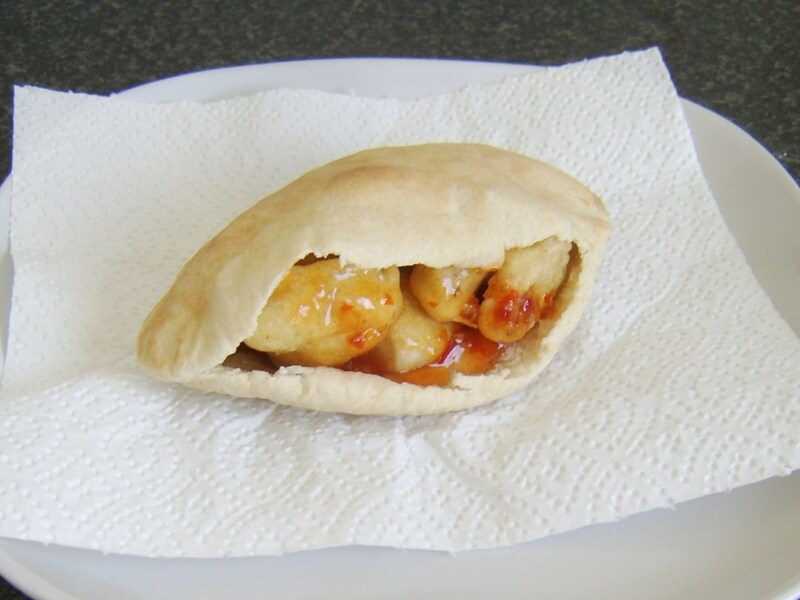 Each of the above links will be activated as the recipes are published. The ten pounds of chicken cost $5.90; therefore, each of the 5 batches of chicken costs $1.18 each. Each portion/batch of chicken is equivalent to approximately two cups each. If you like simply made Asian food that simply tastes good, this is a recipe for you. This is part of the series, Using 10 pounds of Chicken in 5 Recipes to Make 26 Servings. In todays hard economy many people are finding themselves needing to cut corners. But cutting corners at meal time dshould not mean that you can't eat well. Here is a meal centered around a deluxe grilled cheese sandwich. Comments: "Using 10 Pounds of Chicken in 5 Recipes to Make 26 Servings and Feeling Good About It "
A.A. Zavala - if you do that just know that some of those are 6 of each dish, but they all freeze well. I froze some of them for my husband and I because we cannot eat that much food in a week. My favorite was the enchilada casserole. I had never made it like that before, and the taco seasoning I added to the chicken finished it off nicely. Let me know how you enjoy them! Thanks for stopping by! I LOVE CHICKEN. This is awesome, got to get ready and eat 26 servings! raciniwa - just drop on by. I bet I could learn a few things from you too. Thanks for stopping by! AlmostLola - glad you liked it. More good things to come. Looking forward to seeing you again. I'm glad you enjoyed the hub. The recipes that go with it are really turning out good. not only is this a great hub, but that baby in the green shirt is so cute he looks edible! stephaniedas - I'm glad you enjoyed it. It really is healthy. Thanks for visiting. This is great, chicken is such a versatile meat and healthier than other red meats. The Dirt Farmer - I'm pleased that you thought it worthy enough to be bookmarked. I appreciate your comments and hope you will be able to prepare and enjoy some of the recipes. Thanks for visiting! DeborahNeyens - I also boil the carcass (such a strange word) to make stock. It's such a good way to squeeze just a little more out of the food budget. I hope you get a chance to try some of the upcoming recipes. Wow! Your hub is as full of good facts as chicken is full of good nutrition! A great hub to bookmark--useful & interesting. Thank you! What an informative hub! Looking forward to your recipes all week long. I love roasting a chicken and geting about three meals for 2 out of it. Then I use the carcass to make chicken stock to freeze for later. So economical. i would have a hard time. They are cute, but it would be hard to get past the color of the meat. If I were blind folded, I probably wouldn't be able to taste the difference. But I find it interesting how cultures find different things to be acceptable to eat while others do not! And it probably would bring you bad karma ... or at least a stomachache! holyjeans30 - I'm glad you enjoyed the hub. Chicken is really good for you. As I put under one of the pictures, it does a body good! Dicaeopolis - It is a whole lot easier to cook this way. Less time, less cost, less clean up. Sounds like a win to me. If I weren't trying to take the pictures, I would mix these up and freeze before the final cooking step. It's a great way to go. Cloverleaf - I have cooked all the meals except one. Got all the pictures uploaded and into the hubs. Now I have to write them. Any of these recipes would work with your rotisserie chicken, wouldn't it. Thanks for stopping by and I know that I will be seeing you around! My diet has more chicken than any other food, its' actually a joke in my family about the amount of chicken I eat. I had no idea that it was actually so beneficial as well. Great Hub. well if you have to ask the question! I love making a bunch of chicken at once and then using it for several meals. Legs and Thighs or Whole Fryers are delicious, nutritious, and a lot cheaper than boned and skinned chicken breasts. Great idea for a hub. Voted up. davenmidtown - does the meat look dark blue or black? If it were silkie, it would be dark blue or black. You will need to check out your facts. Check out the silkie chicken saga. You're just trying to get my .... chicken aren't you! I'm glad you liked it pardner! Excellent! silkie? Great hub HSB! I like the full coverage range of the topic and the photos are awesome!